What first thing comes to your mind when you think about Sweden? It can be popular ABBA band, books of Astrid Lindgren or high level of life expectancy. But have you are wondered about Swedish companies? There are many businesses coming from Sweden, which surely are popular in your country – maybe, you have even used its services already. To clarify this issue, we present the top 10 companies in Sweden which have gained the best revenue in 2017. Look below and check if you know them! 2. Do you know famous Swedish companies now? The Swedish industrial company was established in 1863 by Edvard Franckel and deals in developing and manufacturing industrial equipment including air compressors, vacuum solutions, construction and power tools or assembly systems. With the revenue at about $US 10 billion and the number of 34,000 employees, the company goes under many brands in the global scale. For example, Rand-Air, Pneumatech Medical Gas Solutions, Shanghai Bolaite Compressor Co., Mafi-Trench Company or Lutos. In addition, Atlas Copco is engaged in many sustainability and social programs and even is a founder of Water for All program which has reached over 2 million people since 1984. On our list of companies in Sweden with the best revenues in 2017, there is a business which provides protective services such as security guarding, monitoring and investigation operations. It was formed in 1934 in Helsingborg and the revenue is more than $US 10 billion. The structure of the company is divided into three major groups: Security Services Ibero-America, Security Services North America and Security Services Europe and it joins about 354,000 employees in 59 markets. In the offer, there is a wide range of solutions – from on-site guarding and electronic security to corporate risk management. Commercial vehicles production, including manufacturing of motors, trailers, trucks, and buses – this is the main field Scania AB is specialist in. It was founded in 1891 and at the turn of the century, business has reached to 100 countries, joined more than 49,000 employees and its revenue is estimated at about $US 11 billion. The company figures on Traton Group and closely cooperates with MAN and Volkswagen Caminhões e Ônibus. The interesting fact is, that Scania not only stands in the automotive industry but also manufacturers special clothes for truckers – it has even its own label called Scania Truck Gear. 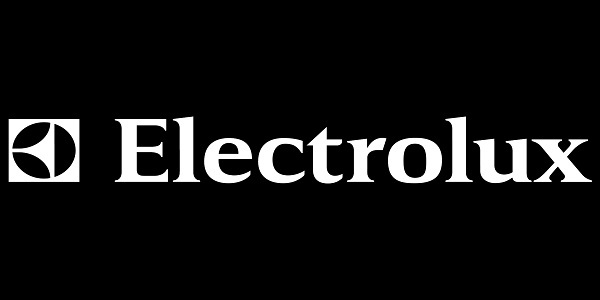 The company goes under the Electrolux AB name, but it is known as an Electrolux. Its operations are focused on producing and distributing home appliances. It was founded in 1919 and presently, the headquarter is situated in Stockholm and the revenue is about $US 14 billion. This is one of the largest Swedish companies which is a competitive entity in a global area – it comes further down the list only just after the American Whirlpool company. The products of Electrolux are sold in particular continents under different brands such as Zanker and Zanussi in Europe, Simpson in Australia or White-Westinghouse and Gibson in the U.S.
Vattenfall is a power company, which provides services in Sweden, Germany Denmark, Finland, the United Kingdom, and the Netherlands. The electricity is generated mainly from nuclear power, but it also uses fossil fuels, hydropower, wind power, and biomass. 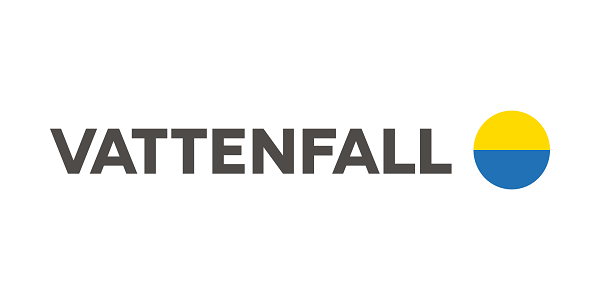 The revenue of Vattenfall is about $US 15 billion and the name comes from the word “waterfall”. The company joins about 20,000 employees and supports local projects in main markets it operates, for instance, Swedish Shi Association, Vatten World Triathlon Stockholm, Pride Festival, Hamburg Towers basketball team or Nuon Solar Team. With the revenue of over $US 16 billion and more than 42,000 of employees, Skanska is on the fifth position in our ranking the major Swedish companies. This is a construction and development company, which projects are recognizable all over the world. For example World Trade Center Transportation Hub, Madison Square, Second Avenue Subway or Mater Dei Hospital. Moreover, Skanska does not ignore the environment issues – it awarded a “Green Builder” prize in 2007 and was the first development company which has implemented standards of ISO 14000. One of the biggest companies in Sweden which deals in telecommunication operations connected to software, infrastructure, video systems, broadband, and networking equipment. The revenue of Ericsson is estimated at about $US 23 billion and the headquarter is situated in Stockholm. It was founded in 1876 by the Lars Magnus Ericsson (hence the name of company) and currently we can find branches of this company in over 180 countries. It is also a huge employer with a number of 95,000 hired people. You can associate this company with Sony Ericsson mobile telephones, which were the results of a joint venture with Sony (till 2012, when Sony took over the Sony Ericsson business). And the dais starts with one of the most popular clothing company H&M. The beginning of this entity dates back to 1947 and originally H&M was focused on producing only women’s clothes. Nowadays, with a revenue of $US 25,19 billion, the company operates in 71 markets (47 with online shopping ones) and join over 177,000 employees. Of course, the offer has been widened and we can buy men’s and kids’ clothes, or even home accessories. It is also involved in sustainability projects,e.g., there is a recycling program and in the light of data from 2017, the H&M customers gave over 17,700 tons of old textiles for reuse. On the list of the top 10 Swedish multinational companies, there is a Volvo Group which specializes in production, distribution, marketing and trading of trucks and buses. It was founded in 1927 and the revenue is about $US 37 billion. What is more, Volvo isn’t only dealing in the car industry. Its also provides financial services, including real estate administration and insurance instruments. The number of employees is more than 100,000 people in 18 countries, but we can find Volvo products in more than 190 markets. With the environment in mind, the company instituted a Volvo Environment Prize and awards people who have found innovative solutions for sustainability development. IKEA furniture is known all over the world. Home accessories, original appliances, and useful gadgets. These are made in the typical, modern design and are marked with being eco-friendly and easy to use things. In its offer, we can even get solar kits and solutions for the smart house any day now. The company is situated in more than 400 localizations in 52 different countries (the highest numbers of stores are in Germany and the US) and hires about 208 000 employees. There is no wonder, that IKEA is on the first place of the biggest Swedish companies list with the revenue in over $US 40 billion. 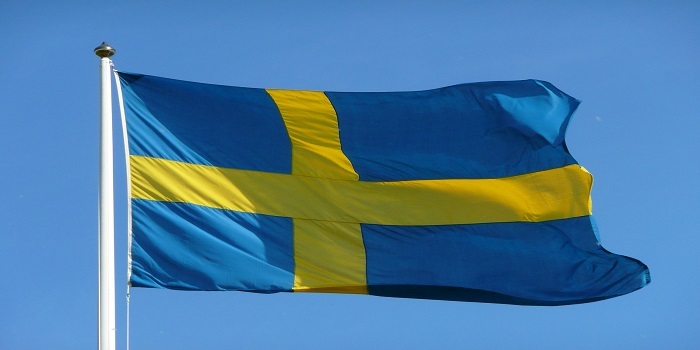 The specific colors of its logo refer to national taints of Sweden. The name comes from the first letters of Ingvar Kamprad (who was a founder), Elmtaryd (the place where he grew up), and Agunnaryd (his hometown). The company is also known for its annual catalog. It is released in twenty languages, where customers might find IKEA products, inspirations, and stories of satisfied clients. The other popular thing which connotes the store is its restaurant with inexpensive, traditional Swedish food. Famous meatballs and cinnamon rolls are the typical dishes served there. In light of the information presented in this article, the companies in Sweden are distinguishable all over the world. Surely, you have seen Volvo trucks in your trunk roads and H&M clothes on the window displays. Those the biggest Swedish companies take care of sustainable development and support the talents and possibilities of their employees – in combination with hard work it might be a proven way for their success. And we should learn from the best, shouldn’t we?